Semi-automatic filling machine for lipsticks and cocoa butter. It is possible to use silicone or thermosetting material ogives. Quick format change by replacing the 8 sectors mounted on the wheel. Cooling of the ogives through air circulation from the refrigeration plant. Structure of AISI 304L stainless steel, scotch brite finish. Worktop made of heavy gauge anodised aluminium. Stainless steel panels. Protection against accidents made of Lexan and safety limit switch. Fifteen-litre tank of AISI 304L stainless steel, scotch brite finish, with bed on the floor. 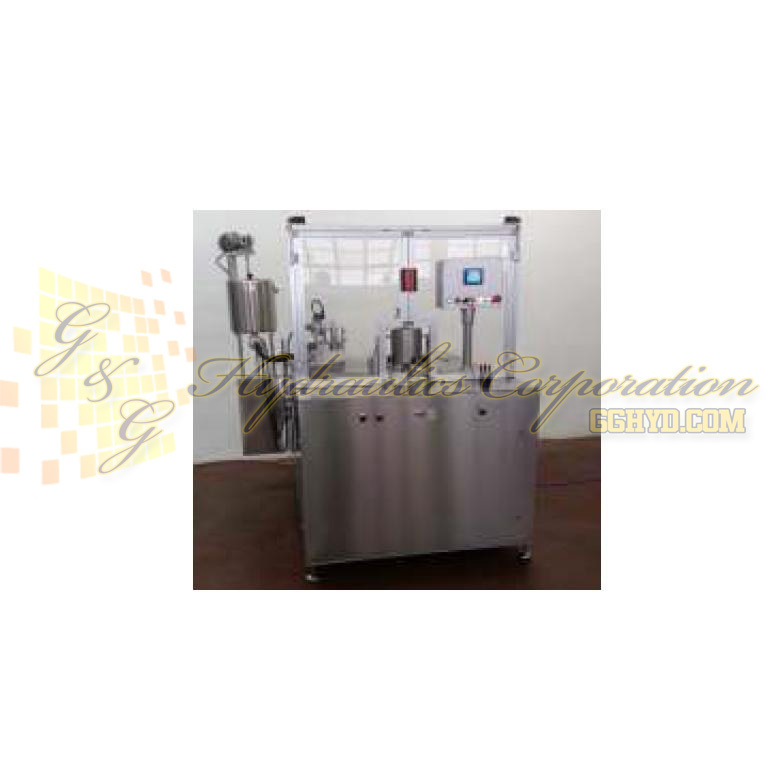 Overflow dosing head heated by means of product recirculation system. Machine, tank and doser parameters to be entered and viewed by means of touch-screen on board the machine.